The idea of leaving home after retirement does not sit well with many older people. If you ask them, most seniors would instead remain in familiar and comfortable spaces in their golden years. It is perhaps where they have spent most of their lives, raising children or making memories. Aging in place is, however, not always a safe and viable option. When we grow older, it is inevitable for us to become less independent than before and to need some help to go about our daily lives. One of the options for older adults is to move to assisted living facilities. These are retirement communities that are put in place for senior citizens. The facilities allow residents to enjoy the best of both worlds where they can remain as independent as they can and know that personal care and other support services are available when they need them. While some older adults will not have a problem exploring senior living facilities, some will put their foot down and say that they will not move to the assisted living homes even when it may seem like it is the best option for them at the time. When looking after older parents, it is always best to best to be as patient as possible. In this article, we will discuss how you can help an elderly parent who has refused to move from their home to an assisted living facility. The first thing to do when dealing with “stubborn” parents is to find out why they do not want to move to assisted living facilities. Some of their concerns often stem from the myths that surround these residences. For instance, golden agers may believe that the facilities are more prison-like compared to their home environment and they will be miserable in their formative later years. They may have the notion that they will never have freedom and privacy the minute they step into the facility, which is false. If this is the case, dispel the untruths and explain how modern assisted living facilities are. You will have to research to explain all the options your parent has. You can show them online photos of the assisted living facilities you are considering, or promotional brochures that outline all the perks and benefits of specific facilities. It is a move that will allow the aging individual to see that they will spend their post-retirement years in a lovely space that will be filled with care and love. Do not expect that it will only take one time to convince the elderly parent about moving to assisted living. You may have to approach the topic a couple of times before they can even budge. Children need to practice patience when dealing with “difficult” parents if they are to see results. Make sure that you have all the proper information about the assisted living centers before you sit down and talk to them. Be ready to answer a million questions and know when to back off when things become heated to avoid frustrations from both ends. After you take your time, show enough perseverance and not treat the entire situation as an emergency, your parent may finally see sense in what you are suggesting. You know what your parents like; thus, once it’s time for assisted living, you should find a retirement community where they would fit right in. For instance, if your mom loves gardening, make sure the facility you visit has a beautiful gardening space with many flowers or plants and a beautiful outdoor area. If your dad is a golfer, it will make perfect sense to search for assisted living homes that are part of a golf community. Visiting an incredible assisted living facility might change your parent’s heart. Let them interact with the staff as well as other occupants of the residence. Where possible, participate in an activity or share a meal as you highlight the social aspects of a great retirement community. It will help them get a sense of what awaits them. Make sure to ask assisted living facilities the right questions when touring so that you get all the information you need. The trip to the community may impress your parents by the end of the day. Here, you can also tell them that they can move in for a while and if it does not work out they can go back home. It is not fair to walk into your parents’ home one day and declare that they have to go to an assisted living home regardless of the reason. It is a conversation that you need to have over time, ideally even before they retire and need to move to the new place. Your parents need to know that there is at least that possibility, some time in the future, that they will get less independent and may need help down the road. If your parents are part of the decision-making process, it may come in handy to help soften their stand and maybe even look forward to the move. Ask them subtly where they would like to spend their post-retirement years and casually mention the homes in a way that does not seem like you are forcing their hand at anything. Letting your parents be in control may have perfect results at the end of the day. Do your very best to make your parents feel as though it was their decision in the first place and that they are still in control over their lives. When parents are reluctant to move to assisted living, understand that you have to be very careful about their schedules when you decide to bring up the conversation that they do not want to have. It is not fair, nor in general a good idea to talk to them when they are angry or anxious. It may lead to strained relationships and many regrettable decisions due to arguments, yelling, name-calling and ultimatums. Be calm and only start the conversation when you are sure that your parents are relaxed and happy. Assure them that you will not just be dumping them into the assisted living home never to see them again. Let them know that you are only interested in their well-being and happiness during old age, and that you will always visit them, as often as you can. Look out for enlightening moments that can help your parents embrace moving. If your mom or dad fall because your house isn’t properly equipped for your parents’ current mobility issues or because they couldn’t get the help they needed at that time, use the opportunity at some later point in time to say something like “I am sure that was scary. That was a close call. 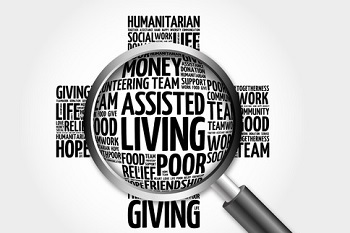 It would be nice to have a helping hand around.” After that, you can casually mention about local assisted living facilities nearby and how they always help caregivers who can help or that the senior apartments there are properly equipped with grab bars and non-skid surfaces. As you go with your gut feeling when it comes to timing, use the unfortunate events that could have been avoided if your parent had proper care / environment to give your beloved parents a kind reality check. For a parent who doesn’t want to move to assisted living, it may not be wise to have a list of both the pros and cons of the facilities. You need to make it as enticing as possible for your parent to want to move to an assisted living facility. Keep repeating the fact that assisted living communities make it possible for senior citizens to forget about everyday chores and any other hassles, allowing them to focus on things that they really want to do. Let your parents know that if they do not want to, they will never have to cook, do yard work, or house chores. You should mention that professional chefs and nutritionists are available in senior living communities to make their meals. Your aging parent probably doesn’t know about all the luxury assisted living communities that may be available to them. If your parents are religious and want to make sure they can be in an environment that promotes religion, there are many faith based retirement communities that they can look into. Moreover, if your parent has a favorite pet that they do not want to part with, there are pet friendly assisted living communities that will be very welcoming of any furry friend that your parent brings along. Remind your parents that they will have freedom of privacy and can also have company when they desire. Talk about the community life and the fact that they will get to fill their days with exciting hobbies and other things they love to enjoy their lives to the fullest. Mention that they can also move with their sentimental valuables and set up their new living quarters the way they want. Make them an offer that they cannot resist easily by focusing on the aspects of facilities you are sure they are bound to enjoy to the fullest. Since you have never been to an assisted living residence, you may not be in the best position to talk about the topic with older adults. Ask around to see if there is a friend or relative who is already residing at such a home and loves their life there. Should you find one, arrange a meeting as soon as possible so that they can get to hear a review from someone who has spent time in the facilities. He/she will be in a better position to let your parent know what to expect from assisted living. Let your parents know what can happen if they do not move to assisted living facilities especially if there is no one around to help them out. Sometimes fear can be a good motivator and can help make them change their minds. Let them know that if they get into an accident and no one is around, they can end up dealing with a great deal of pain and suffering. However, if they are in a retirement community, someone will always be nearby and will ensure that they receive help right away. If one of your parents is no longer around, remind your parent how lonely and depressing it is to live alone. Let them know that at the assisted living homes, they can make new friends who are in similar age bracket and they may have a lot in common. Some seniors even end up finding a life-partner in their new residence, though it is up to you whether you feel it’s appropriate to mention that. Some retirees may fear moving out because they think that they will never see their children or loved ones again. It is your responsibility to talk them through it and let them know that you will visit as often as you can. Do not, however, lie that you will be there every other day if that is not actually possible. Promise them that you will visit and even spend the night when you can and be sure to keep your promises to let the parents that you still love and care for them. Even when you cannot physically visit, assure them that you will always keep in touch to find out what they are doing. If they do not have smartphones or tablets, buy them so that they can see that you are serious about communicating. Children can try everything from negotiations to even bribes but end up not yielding the desired results. If you are at this point, you may have to seek outside intervention. Try talking to siblings, neighbors, and other relatives to see if there is a loved one who can come up with a practical solution that will help the elderly move without complications. If none comes up, talk to your parents’ doctor. The medical expert may be the only person who may give expert advice that your parents will listen to. Ultimately, life at an assisted living facility can end up being cheaper than staying at home, especially if your parent needs 24/7 services from home health care agencies (see our assisted living costs comparison table for full state-by-state assisted living cost averages). Hearing how much money your parents can save can be a motivating factor to move. For starters, one does not have to live in a huge house if they do not want to. The retirement communities provide different sizes of housing options, generally ranging from studios to 2 bedrooms, allowing the elderly to pick the one that suits their needs and budget best. Most even allow spouses or friends to share living space, which is something that can also help to cut down on costs. Before falling into the depression when taking care of elderly parents who do not want to move when it is the right thing to do, make sure you find some help. It can be through support groups where you talk about your expectations, or feelings to let them all out so that you can be refreshed enough to deal with your parents over and over again before they can accept what is the best course of action for them. Knowing that you have someone to lean on during the difficult times can give you the energy you need to deal with the situation. Even after doing the best you can, there are some parents who will not budge. As much as it may be discouraging remember that your folks are grown-ups who have the right to make their own decisions. You may be forced to give up and accept the situation as it stands. There are still some things you can do to keep them safe, healthy and happy. For example, install medical alert systems in the home and make sure that there is a professional caregiver looking after them round the clock. You can also pay for some home adjustments such as handicap-accessible bathtubs, or extra railings on staircases, as well as non-slip surfaces in fall-prone areas such as kitchen and bathroom tile, until the elderly parents feel like they are ready to consider assisted living.